Foust Fleet Leasing began in 1956 in Lawrence, KS as Jim Clark Leasing, and soon became an integral part of the Jim Clark Chrysler-Plymouth dealership in Topeka, KS. JCL began commercial fleet leasing on a large scale in the late 1960s, managing fleets for companies such as Volume Shoe Corporation (Payless Shoes) and Blue Cross-Blue Shield of Kansas. Clyne Foust joined the company in 1974, and in 1982 bought and moved the business to its present location on 29th street. A stronger independent leasing position was taken, and leasing of new and quality late model used vehicles was introduced in the late 1980s. Under Foust’s leadership, the company redirected its focus to developing the local area customer base and adapting its fleet management concepts to smaller business operations, resulting in many long-term local business relationships. Foust Fleet Leasing has an extensive customer base in the surrounding areas, including many communities on the I-70 corridor from St. Louis through Goodland. 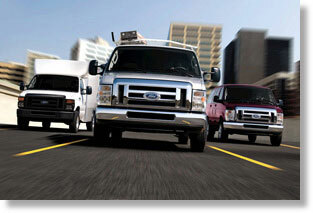 It also leases vehicles and equipment in more then 30 states across the nation. Clyne Foust is a native Kansas, born in Hutchinson. He later attended Lawrence schools and graduated from the University of Kansas in 1967. Owen Foust was born and raised in Topeka, and graduated from KU in 2002. When Owen joined the family business 2003, he felt it was time to change the name to reflect the company’s true ownership. Owen is excited to carry on the family business through a second generation and will continue to operate the business as his father has for so many years.